As we continue to focus on renovations at my new studio space in Ligonier, I am taking the time during this season to practice what I preach: REST. I dearly miss teaching yoga, but I’m still sharing my practice each day in different ways. I look forward to starting up group classes and private sessions again in the spring/summer! Save by purchasing all 6 weeks for $75 (+ tax for online purchases) OR drop in on any Tuesday for $15 cash. Bring a yoga mat or beach towel to practice. NEW group yoga class coming soon at my very favorite place...Sunday morning yoga at the Green Berry new location in Downtown Irwin! Grab your yoga mat and start your Sunday off right with some gentle and calming movement and breathing. Detoxify your body, mind, and spirit, and maybe even purchase a fresh-pressed juice after your practice! These classes are 100% cozy and beginner-friendly. Please note: The Green Berry is closed on Sundays, but cold-pressed juice bottles will be available for purchase. Yay! Come join me and other like-minded friends at the farm in Stoystown for a Women’s Circle Autumn Retreat! We connect to others best when we first deeply connect to ourselves. 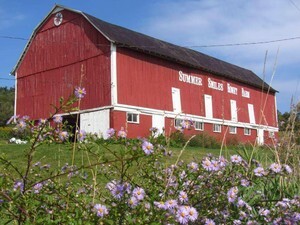 If you need an opportunity to do just that, then set aside Saturday, October 20th to join me at Summer Smiles Honey Farm, 10:00am - 4:00pm + optional wood-fired pizza bake afterwards! 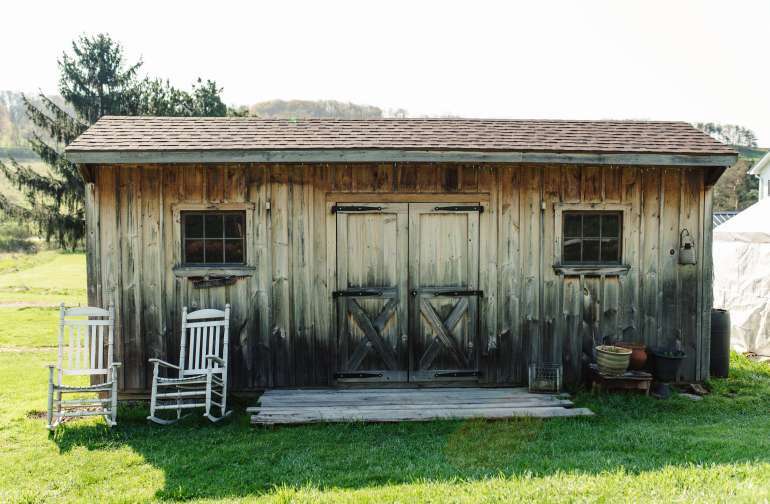 This one day retreat will include time for yoga practice in the barn, self-reflection and meditation, and organic farm-to-table food. 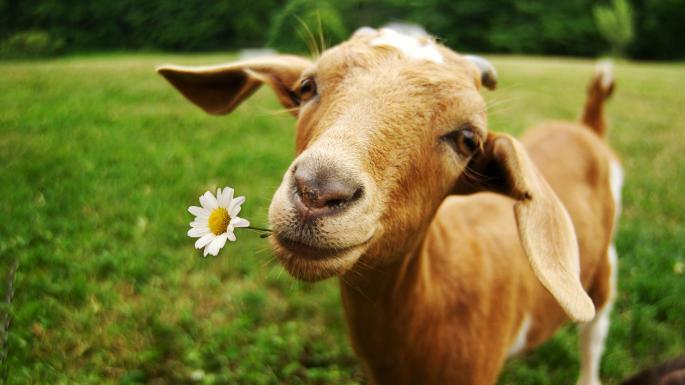 We will have free time for walking, journaling, and enjoying the farm animals and nature. Early-Bird Pricing: $150 now until October 1st. After that, price increases to $200. Preregistration only and space is limited. Optional pizza bake price is $12-$20 depending on toppings and is not included. *The farm also has ADORABLE overnight glamping options available if you’d like to extend your stay...check out the options above or just ask! Join me Wednesday mornings at Moonglow Yoga! All Levels Vinyasa at 9:00am: appropriate and comfortable for beginners, this class is a great way to wake up and start your day! We incorporate some flowing movement as well as standing postures, and always finish off with a nice, long savasana. Yin Yoga at 10:30am: Yin yoga helps us to balance out all of the yang energy in our lives. So if you find yourself rushing, busy, or over-stimulated throughout your day, you might find a challenge and relief with yin yoga. Rather than lots of movement, flow, or heat, yin offers us the opportunity to ground, cool and calm the body. Yin yoga postures are all low to the ground, held with a sense of quiet surrender, and help to activate the parasympathetic nervous system. Similar to restorative yoga (but not necessarily with props), we explore stillness and yielding within each yin posture. Nourish your tendons, ligaments, fascia, and the deeper tissues of the body. Saturday, August 25th from 10:00 - 12:00 • $45 • Christ Church (Anglican) in Lion's Head, Ontario. Do you experience a lack of boundaries within your life? Do you find yourself constantly giving and not receiving for yourself? Do you ever feel taken advantage of, or drained from work or home life? Join Rosslyn Kemerer of Wholehearter Yoga for a special yoga workshop designed to explore and create healthy boundaries. Understanding the body as a microcosm for our lives, we will move through a yoga practice with awareness of where we waste energy within the body and mind. Where might we learn how to cultivate more clarity for our own needs? How can we contain our energy within these postures to fuel our confidence? Curiosity on the mat + yoga philosophy provide the necessary tools for us to set healthy and clear boundaries. Space is limited...sign up for $45 via Nina Andic (nina.andic@gmail.com) to reserve your spot. Thursday, August 23rd at 7:00 - 8:00pm: Weather permitting, meet me in the small parking lot at Bushy Run for a relaxing sunset yoga practice. Bring a yoga mat or beach towel to practice. I'm teaming up again with Ian Smith of SurfSUP Adventures for a beginner-friendly stand up paddleboard eco tour and floating yoga practice! If it's your first time on a SUP board, Ian is great about helping everyone feel comfortable. We will meet at (or carpool to) Lake Arthur at the pristine Moraine State Park. Beginning with some basic paddling instruction, we will then be led on a guided eco-tour and experience the lake's most beautiful areas and wildlife. Next, we will paddle to an on-water yoga studio tucked away in a hidden bay, drop anchor and begin a quiet and gentle yoga practice. No SUP or yoga experience necessary. If you love nature and/or exploring, save your spot now for just $65! Only 2 spots available as of 6/15. Optional preregistration is available, or pay $10 cash at the door. In the event of inclement weather, class will be held inside the winery. Come early or stay after to enjoy a glass of wine! Tickets may be purchased online for the monthly pass or individually. You may also pay at the door! Paul Bando has invited me to present at his bi-monthly meditation practice in Downtown Irwin. After our group meditation practice together, I will be sharing useful pranayama breathing techniques to include in your practice. This session is donation-based and beginner-friendly! Meet at the Natural Solutions building on Main Street in Irwin, straight through the door and upstairs. No SUP or yoga experience necessary. If you love nature and/or exploring, save your spot now for just $65! I am thrilled to be working with the Greenhouse Winery for a lovely outdoor yoga series coming in May! All are welcome to join me on Tuesday evenings in May at 6:00pm for a one hour outdoor hilltop yoga practice overlooking the winery. Optional preregistration is available, or pay $12 cash at the door. Watch for our July series coming soon! Weather permitting, meet by the dock at Indian Lake Park in Irwin for a gentle and refreshing outdoor yoga practice by the lake. Practicing by the water and listening to the fountain allows us to connect with our sacral chakra energy a little further. Bring a yoga mat or beach towel to practice on the grass, $10 cash. Please follow the Facebook event for weather updates or check in the day of at 724-575-2235. Join Rosslyn & Sarah Lawrence of Sarah's Skincare & Beauty for another installment of yoga, pampering, and tea. Meet at Layla Marie Salon in Greensburg for super cozy, gentle yoga + a mini savasana facial and green organic masque. This yoga spa is all about the energy of SPRING! We will be embracing growth, new beginnings, and all things GREEN. Wear your green clothing to support the heart chakra, sip green tea, and go home with a fresh green seaweed facial masque among other goodies! If you've missed the last few yoga spas, now is your chance to snag a spot. *Only 8 spots left as of 2/8, first-come-first serve. Preregistration + full $52 payment guarantees your space. These weekly classes at The Energy Connection in Irwin will be completely beginner-friendly, offering a variety of cozy seated postures along with standing poses, nice, long savasanas and opportunities for reflection. Classes are run in 6 week sessions to offer the option for preregistration discount. $65 (+ online tax) for all 6 weeks OR, you may drop-in any time for $12 cash at the door. The Energy Connection is located in the Landmark Pavillion building. It is in Irwin right at the corner of Robbins Station Road and Clay Pike, across from the Circleville Fire Department. There is ample free parking along the side of the building. If it's your first time, come on in and head up the stairs. Our yoga room will be just down the hall on the left. We had an overwhelmingly awesome response to the new 6:00pm class, so beginning February 8th, I'll be adding a 4:30pm class on Thursdays as well! Same at the 6:00, these classes will be completely beginner-friendly, offering a variety of cozy seated postures along with standing poses and nice, long savasanas and opportunities for reflection. Pop in any time for $12 cash at the door. Drop in to the cozy Healing Arts Yoga Studio on January 31st for my last regular sub class of the month. This class is slow, thoughtful, and gentle with a focus on breathing and self-reflection. I'm SO excited to be partnering with The Energy Connection (on Robbins Station Road) for open weekly group classes! It's been a while since I've had a space available for any number of people, but this big room will offer the opportunity to drop-in any week. As per usual, these classes will be completely beginner-friendly, offering a variety of cozy seated postures along with standing poses and nice, long savasanas and opportunities for reflection. I'll be running this class as a 6 week session beginning January 25th at 6:00pm and running weekly to March 1st. Drop in any time for $12 cash at the door. You deserve a spa night! Join a dream-team of self-care with Rosslyn, Sarah and Tonya at The Yoga Deck in Trafford for an evening of relaxation, massage, yoga and tea! Locally Foraged Tea: Tonya Kapis will be sharing her beautiful space as well as an amazing selection of foraged herbs, flowers and teas! Skincare + Massage: Organic skincare specialist and licensed esthetician, Sarah Lawrence, will be showing us how to make our own soothing organic facial masque as well as treating everyone to a massage of feet, hands and head. Relaxing Yoga: Guided by Rosslyn Kemerer, enjoy a gentle slow flow of yoga poses designed to relieve stress and tension, stretch out stiffness and create a calm mindful state of body and spirit. Class ends with a long guided relaxation that includes your facial masque. Space is limited, so sign up now to reserve your spot! Please show up make-up free and bring your own blankie (BYOB) to make your practice and relaxation extra-specially cozy. January 9th - January 30th • Tuesday morning small group series! Receive one-on-one attention, hands-on adjustments and the cozy privacy of Wholehearter home studio during these weekly small group classes. Purchase full 4 week series to guarantee your spot for $50 (+ tax for online purchases) or call or text 724.575.2235 to drop in for $15. Most of us (especially women) already have MORE than enough yang energy in our lives. Yang is heating, stimulating, energizing, active. We tend to be deficient in yin (cooling, soothing, calming, passive). Do you have any of the following challenges? Yin yoga offers us an opportunity to slow down, nourish, settle in to our bodies and activate our parasympathetic nervous system. Come enjoy a group discussion about how to nourish yin, then sink into a deep tissue yin yoga practice designed to cleanse out energy meridians, ligaments and the mind. Join me at The Yoga Deck in Trafford for this pre-holiday yin yoga practice. Space is limited, so save yours now for $30 [+ tax for online purchases]. 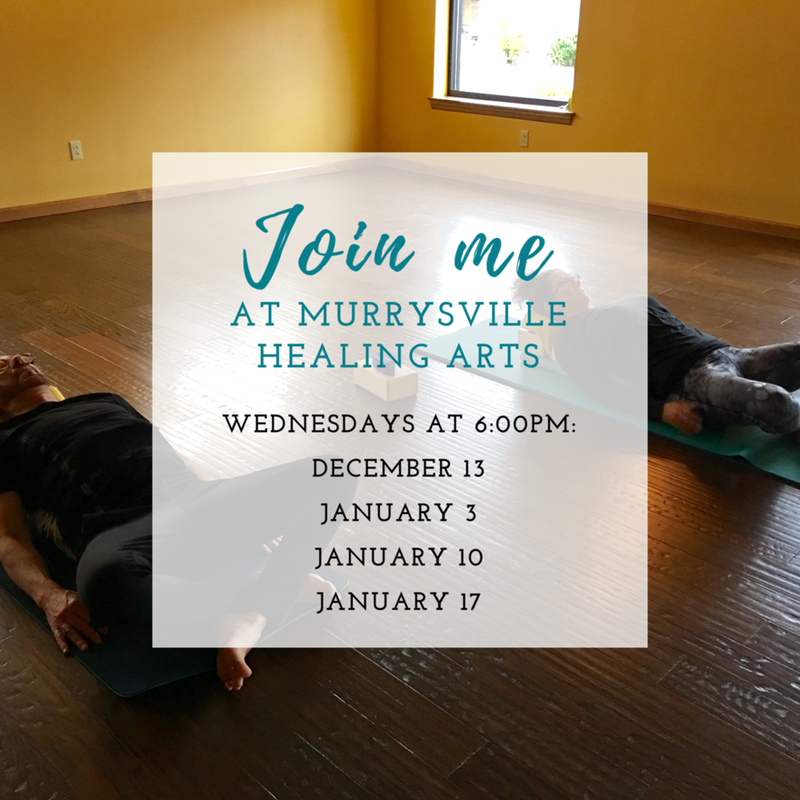 Save the date for these upcoming group classes I'm subbing at Murrysville Healing Arts. 4 Wednesdays at 6:00pm, $12 to drop in. With the shorter days and dark, cozy nights, I'm adding bonus group classes when I can to help you ease your way into your evening. This one will include a special introduction to my new tank drum with a mini-soundbath for savasana! Most of us already have MORE than enough yang energy in our lives (heating, stimulating, energizing, active) but tend to be deficient in yin (cooling, soothing, calming, passive). Yin yoga offers us an opportunity to slow down, settle in to our bodies and activate our parasympathetic nervous system. Enjoy hot tea and a brief group discussion, then sink into a deep tissue yin yoga practice designed to cleanse out energy meridians, ligaments and the mind. Join me for this pre-holiday yin yoga practice for $20. Only 5 spaces available. 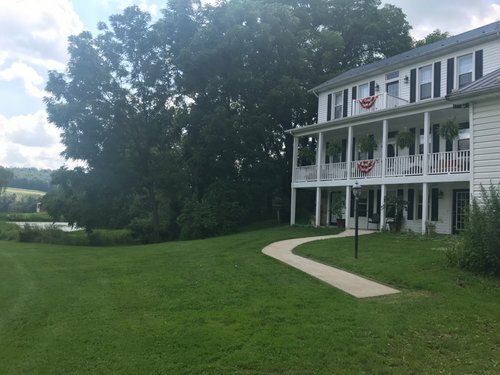 I'm so excited to present my first cozy little yoga retreat! Peace Harvest was created for go-getters who are feeling overwhelmed, disconnected or burnt-out. I've been there and I know how difficult it can be to break that busy cycle or create time to get away. I've designed this retreat to be an accessible and useful way to reset and immerse yourself with other like-minded friends. Through guided meditations, group work and nature-based activities, you will leave feeling refreshed and grounded with tools to keep those feelings.